Corsica is an island in the Mediterranean Sea belonging to France, formed with the uplift of a granite backbone on the western side…. About fifty million years ago sedimentary rock was pressed against this granite, forming the schists of the eastern side…….. It is located west of the Italian Peninsula and has been identified as the most mountainous island in the Mediterranean, or else a “mountain in the sea”, and is the most geographically diverse of the Mediterranean Islands…….for you to get on to the…….Corsica and Ajaccio Holiday Package!!!!!! This island offers such a variety of landscapes from snow topped mountain peaks to fine sandy beaches…… Age old paths link high mountain plains dotted with shepherd huts through to the picturesque Mediterranean Coast……. The itinerary starts in the central valley and includes some time on the Grand Randonnee 20……. the challenging long distance route running most of the length of the Corsica……. On foot you’ll discover the scented pine tree forests and the lively village of Evisa…… Explore the deep Spelunca Gorge and the exceptional Gulf of Porto with its unique jumble of rose granite pinnacles including the famous Calanques of Piana. 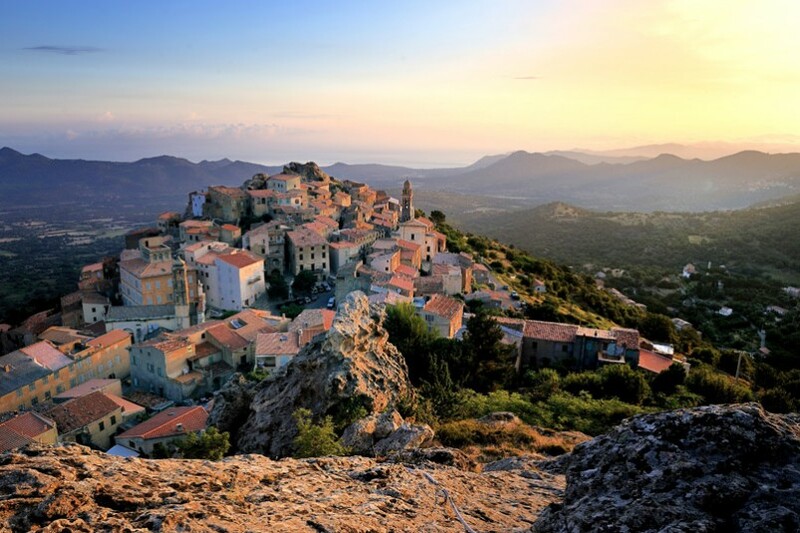 Your trip will commence in the hill top town of Corte which was once the capital of Corsica and continues to be a centre for Corsican Nationalism……. 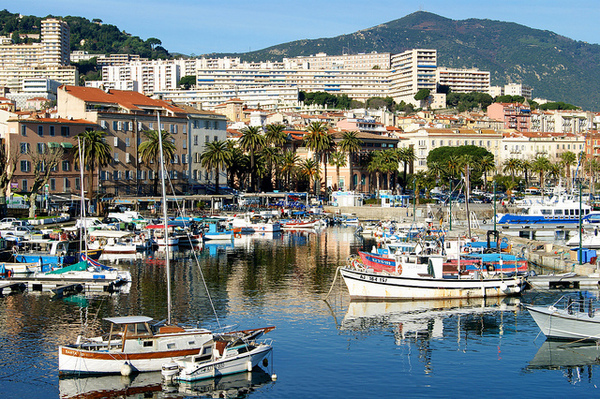 Whilst Corsica is officially a part of France and Napoleon Bonaparte was born in Ajaccio, the majority of its inhabitants align themselves more with Italy….. On arrival in Corte…..make your way to your hotel. This morning you will be transferred to the heart of the Scala Santa Regina Gorge to commence your walk…….. The views of the Golo river as you enter the granite sided gorge are dramatic……. You will follow ancient shepherd’s paths into the borderlands of the Niolo region…… Stay overnight by the Calacuccia Lake in the shadows of Monte Cinto, Corsica’s highest peak. A superb day on the trail as you ascend through the forests of Verghio along a beautiful path overlooking the Golo Valley…… You will have the chance to experience the cascading Radule Waterfall and Bergeries de Radule or shepherds huts and sheepfolds where it is sometimes possible to purchase cheese……. There are numerous opportunities to swim in the natural pools en route……. For part of the day you will be walking on the iconic GR 20 trail to reach your simple hotel on the old ski resort…… on this…….Corsica and Ajaccio Holiday Package!!!!! You will then get ready to cross the Col de Verghio which marks the boundary between North and South Corsica…… Just over the pass there is a striking statue by the sculptor Bonardi……. Your destination is the village of Evisa reached via a meandering path through the magnificent forest of Aitone……. You will encounter immense Laricio pine trees, some of which are over forty metres high and three hundred years old…… The forest is inhabited by the wild boar, Aitone foxes, sparrow hawks and eagles among others…… You may spot a Corsican nuthatch, if you are lucky! Natural pools and waterfalls abound on the route today…… The pretty town of Evisa set at eight hundred and fifty metres, is famous for its ancient chestnut forest and has expansive views of the valley…….. There will be ample time to explore the village or have a swim in the hotel pool before dinner at the hotel……… Your walk continues the next morning down the stunning Spelunca Gorge, whose walls rise to a thousand metres in places……. The gorge is the result of the confluence of several rivers whose crystalline waters offer the perfect opportunity for a swim……. The route takes in two beautifully restored Genoese bridges dating back to the fourteenth- century, the Ponte Vecchiu and the Ponte Zaglia……. A myriad of wildflowers and shrubs line rambling path as it cuts through the cliffs…… You will emerge from the gorge close to the sleepy village of Ota which is perched on the mountainside…… it is a welcoming rest stop before your descend to Porto where you will spend the night!!!! Today you are free to explore the UNESCO listed Scandola Peninsula whose red granite cliffs soar dramatically from the sea…… From your base in Porto, renown for its magnificent sunsets you can experience the wonders of the region……. Many activities including snorkeling in the cove, bike riding and boating are all on offer and can be arranged locally…… Porto is home to a Genoese Tower built in the sixteenth-century on an outcrop of granite…… An ascent of the tower offers stunning views of the area……. On a clear day you can see the tower on Capo Rossu towards the southern side of the Golfe de Porto…….bewildering land and seascape on the…….Corsica and Ajaccio Holiday Package!!!! The hike takes you from the beach of Porto past the impressive red cliffs of the “Calanques de Piana“……. The contrasting colours of the red porphyry rocks against a backdrop of the Mediterranean Sea are quite spectacular……. The best way to see these other worldly formations is on foot, allowing you to fully appreciate the work of erosion and time on this geological wonderland……. The trail winds along the meeting point of ocean and land, where the mountains run into the sea, climbing inland towards Capu d’Ortu…… On arrival in Piana, you will appreciate why this is considered to be one of the most beautiful villages in Europe, where you could spend some time chatting with the inhabitants and sharing information about their life styles and skills!!!!! Tourist Attractions Corsica and Ajaccio with Joy Travels . This entry was posted in Holidays, International Tours, Packages, Travel. Bookmark the permalink.